Florence: The Medici Art Series. Good in Poor dust jacket. 1937. Softcover. Pages are clean and intact, some age tanning, no loose pages. Soft cardboard cover has moderate edgewear and tanning. Dustjacket in fairly poor condition has numerous tears and chips, front flap is detached (included but not attached) and back flap is partially attached, some soiling. Colour frontispiece and numerous b/w illustrations. The monuments of antiquity, the churches, the palaces, the treasures of art. A handbook for students and travellers. With 1045 illustrations. (320osl); 12mo 7" - 7½" tall . Lost Moose. Good. 1992. First Edition; Second Printing. Softcover. 0969461208 . Oversize softcover 15" tall. Pages are very good, although cover has some wear and tear. Pages are clean, no markings, some corner curling, corner creases, age tanning to page edges, some wrinkling to bottom corner of first few pages. Cover has curling at corners, fairly heavy curling to bottom corner, several creases, scuffing and a few small edge tears. B/w illustrations. ; Folio 13" - 23" tall; 156 pages; In a roundabout way, the Lost Whole Moose has come to represent the exploration of all that is really enjoyable about living in the Yukon--it's delights and challenges as well as its hardships. The Lost Moose is really a kind of quest, and includes the discoveries that people make along the way. It is the search for the perfect northern lifestyle. As legend has it, the search takes people down many paths. Some have been here seemingly forever. Others start by spending just a winter, learning to deal with the cold and heating with wood. They may become fascinated with the northern lights, find enjoyment in going for walks at 40 below and start thinking about building a place of their own someday. Then it's the summertime exploration of rivers and forest, reveling 'neath the midnight sun, trying to get a piece of land and learning about land claims and politics. Along the way learning bush crafts and skills needed to cope with town life. As the revelations continue, people are exposed to the many styles of life which are available in this land, including the relaxed practice of horizontal living. As horizontalists, whether full-time, part-time or just sometimes, they learn to enjoy a state of bliss with this life and this land. Experience (and legend) tells us this land is not for everyone; many people arrive and many leave. But for those who like what is here, it seems they keep on liking it. Their search for their Lost Moose, as legend would have it, is still in progress, and that's what this book is all about. (800) . Canmore, AB: Nature in Wild Places. Very Good. 2003. Softcover. 0969936834 . Publisher: Nature in Wild Places, Canmore, AB, 2003 reprint. ISBN: 0969936834. Ex-library book in very good condition, usual ex-lib type of markings. Pages are clean and tight, cover has light wear to edges/corners. Over 200 full colour photos. Features wildflowers from all five national parks - Banff, Jasper, Kootenay, Waterton Lakes and Yoho. (245-osl) ; 8vo 8" - 9" tall; 170 pages; . Lone Pine Publishing. Very Good. 1992. First Edition. Softcover. 1551050218 . Light edgewear and some scuffing to covers. Pages are all intact and clean other than several checkmarks in pen. First endpage has a bookplate and name from previous owners. 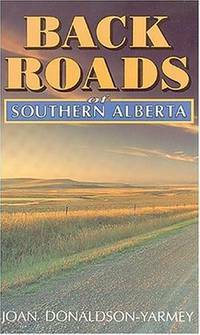 Covering an area from Edmonton to Cypress Hills and from the Rocky Mountains to the Saskatchew border, this book is a guide t othe hidden treasures of southern Alberta. Maps and b/w illustrations. (215-osl) ; 8vo 8" - 9" tall; 144 pages . Key Porter Books. Very Good+. 1996. First Edition. Softcover. 1550134973 . Ex-library book, but still in great condition - sturdy laminated cover and usual ex-lib type markings. Pages are clean and tight, a little spotting to outer edge of pages. Cover has light wear to laminate at corners. Illustrated in b/w and colour. 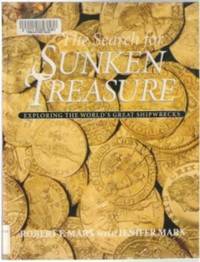 ; 4to 11" - 13" tall; 192 pages; Renowned underwater archaeologist Robert Marx and his wife tell the remarkable stories behind the discoveries of famous wrecks from around the world--the HMS Bounty, the Andrea Doria, the Titanic and The Mary Rose--as well as the unshung shipwrecks that deserve to be better known. Full-color photos.  .
Embassy of the Socialist Republic of Vietnam. Fine. 2007. First Edition. Softcover. As new condition other than a little shelfwear at corners and a stamp on first page "compliments from the embassy of Vietnam". Beautifully illustrated with colour photos. Contents: Milestones; Reflections on a friendship beyond borders; Bridges between two cultures, two ways of life. 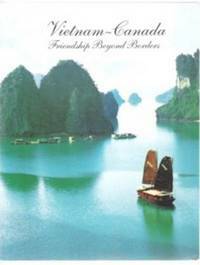 ; The Canadians in Vietnam; Pacific Partners; Partnering in building better cities; Investment, trade and business; Culture - a human space that knows no borders. ; 4to 11" - 13" tall . Michelin Travel Publications. Very Good+. 2002. First Edition. Softcover. 2061003591 . Excellent condition, clean and unmarked. Cover has a couple light creases and very light edgewear. Profusely illustrated. 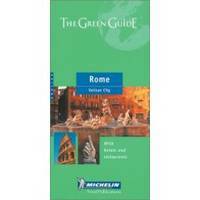 ; Michelin Green Guides; 8vo 8" - 9" tall; 382 pages; While spending a few days in the Eternal City, you may want to visit some its numerous sights and monuments, to explore the locations and scenes captured in the classic film "La Dolce Vita" to plunge into the bustle of an open-air market or to cross the Tiber to Trastevere in search of a typical trattoria. THE GREEN GUIDE, the perfect travel companion: a discerning and up-to-date source of information. Practical and comprehensive, it offers suggestions on what to see and what to do, background on history and cultural heritage. Ideal guides for the independent tourist, THE GREEN GUIDE explores destinations both near and far. Sights are rated - 3 stars "worth a journey", 2 stars "worth a detour" and 1 star "interesting". Maps and itineraries make planning easy, whether visiting the highlights or venturing off the beaten track. Travel with THE GREEN GUIDE for an exciting and memorable experience. [404-osl] . Metro Publications, N1. Near Fine. 1999. First Edition. Softcover. 1902910028 . Excellent condition - clean and unmarked. Cover has slight wear to corners. B/w illustrations. Covers everything you need to know: how to get there, details of the 14 zones within the Dome, places of historic interest, Greenwich Park, shops, restaurants, pubs, entertainment, events. ; 12mo 7" - 7½" tall; 128 pages; (*shipping will be reduced after checkout) [123-osl] . Inkstone Books. Very Good. 1980. First Edition. Softcover. 0960454209 . Clean, tight condition. Pages are clean & unmarked. Cover has light soiling & light edge/corner wear. Contents: About Point Lobos; Map; Sea Lion Point Trail; Cypress Grove Trail; Bird Island Trail; Some books; About the author etc. B/w illustrations. 112 pages. ; 8vo 8" - 9" tall; (*Shipping will be reduced after checkout to most locations) [205-osl] . Fodor's Modern Guides. Very Good. 1982. First Edition. Softcover. 0679008268 . Pages clean and intact. Cover has light edge and corner wear. Illustrated in b/w and colour. [437-noto] ; 8vo 8" - 9" tall; 519 pages . B. C.: Gordon Soules Book Publishers. Near Fine. 2002. Sixth Edition. Softcover. 1894661060 . Near fine condition. Only very light wear overall, no markings. Would be upgraded to fine other than it has a light coffee or tea stain to one outer edge of pages. This only affects the very edge of a few internal pages and is quite minor. Pages are otherwise clean & unmarked. Profusely illustrated. 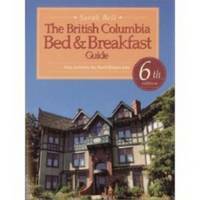 A guide to over 150 B&B's in British Columbia and the Banff/Jasper area, providing a wide range of accommodation choices. [293-osl]; 8vo 8" - 9" tall . Elsevier / Nelson Books. Near Fine in Good dust jacket. 1979. First Edition. Hardcover. 0525666222 . Hardcover clean, with all pages intact, very small remainder mark bottom edge of pages. Bumping to spine ends. Jacket has light edgewear and few small tears, light watermark stain/light wrinkling to rear of jacket. B/w photos. 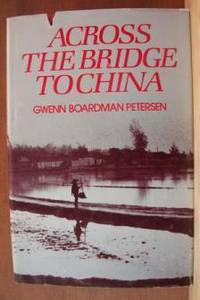 "Young Joe, like many Chinese-Americans, has long wanted to visit the homeland of his parents, experience the New China for himself, and search out the sites of his father's boyhood memories. As last the chance has come, and he flies to Hong Kong, takes the train to the border of the People's Republic of China, and crosses the bridge to meet his origins....; 8vo . Dorling Kindersley. Fine. 2000. Softcover. 0751311146 . Excellent condition, a little scuffing and light wear to corners. No markings to pages. Profusely illustrated in colour. 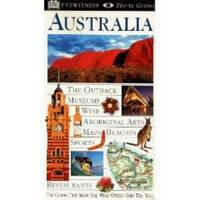 -The Outback, Museums, Wine, Aboriginal Arts, Maps, Beaches, Sports, Restaurants and much more. -Town-by-town information on sights, shopping & entertainment. -Carefully selected hotels, restaurants and cafes in all price ranges. -Easy to use 3-D aerial views give you instant access to districts & buildings. -Survival guide give practical advice on health, security, public transport, etc. -Over 1,200 full-colour photos show Australia at it's best. 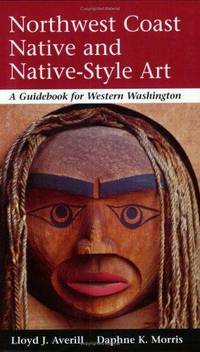 (860) ; Eyewitness Travel Guides; 8vo . Key Porter Books. Near Fine in Near Fine dust jacket. 2002. First Edition. Hardcover. Excellent condition, only very light wear overall. Interior pages clean & tight, except for name written inside front cover and price on flap crossed out. Never Hitchhike on the Road Less Travelled leads you down William Thomas's own improbable and wacky paths-both primrose and perilous. A fool hardy tourist and inveterate backpacker, Thomas's first travel ticket was his hitchhiker's thumb.... (*shipping will be reduced to most locations) ; 12mo 7" - 7½" tall; 192 pages . Arcade Publishing. New in New dust jacket. 2003. First Edition. Hardcover. 1559706988 . New book, no markings, minor shelfwear to jacket. ; 8vo 8" - 9" tall; "For over 50 years, Henrik Krogius has roamed its avenues and streets, photographing and describing many facets of its vibrant and varied life. His focus is not on famous buildings-though he depicts many-but on people who live and work here. With the eyes of one of the city's many celebrants, he describes a city that is traversed by visitor and resident alike, yet not consciously observed by most..... 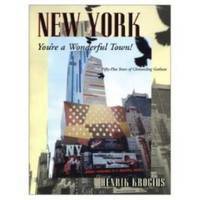 In these pages one sees New York today, but also, thanks to his constant camera, how it looked and evolved over the past five decades. " (935? ) . CT: Globe Pequot Press. Very Good+. 1999. Softcover. 076270473x . Great condition, very light edge/corner wear, no markings. 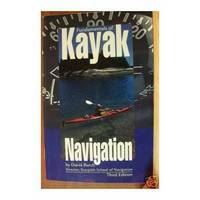 Fundamentals of Kayak Navigation is the authoritative source for information needed to chart an accurate course in a sea kayak, whether on open water or between islands or icebergs. Covers chart reading; compass use; finding and keeping track of position; predicting tides and currents; trip planning; navigating at night, in fog, and in boat and ship traffic; and much more. ; 8vo . Chicago: Passport Books. Very Good+. 1997. Softcover. 0844248533 . Ex-library book, but still in great condition. Sturdy laminated cover and usual ex-lib type markings. Interior clean and tight, a little edgewear to laminate on cover. Colour illustrations. 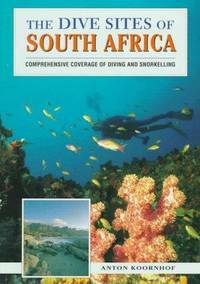 Indispensable guide for diving and snorkelling enthusiasts of all levels & provides comprehensive coverage of dive sites along the entire South African coast, as well as inland. ; 8vo 8" - 9" tall; 183 pages. pages . Contemporary Books. Very Good+. 2001. Second Edition. Softcover. 0071388656 . Ex-library book but still in very nice condition - sturdy laminated cover and usual ex-lib type markings. Pages clean and tight, cover laminate has light wear at corners. ; 8vo 8" - 9" tall; "With more than 260 diving and snorkeling adventures, this gorgeously illustrated guide presents the best marine sites of these Caribbean isles. 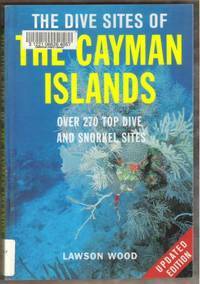 Organized by island, The Dive Sites of the Cayman Islands, Second Edition, rates each site and describes the conditions, marine life, depths, and access. It also highlights special points of interest and offers features such as the Cayman Turtle Farm, Stingray City, rare and unusual marine life of the Caymans, and underwater photography and video tips. " . By Jong, Elaine M. D.
W. B. Saunders. Very Good. 1987. Softcover. 072161194X . Moderate edge and corner wear to cover, taped tear spine bottom, light soiling/spotting to outer edge of pages, sticker residue on rear.. Interior of pages clean and unmarked other than a bit of underlining on 2-3 pages. One small edge stain seen. 323 pages. 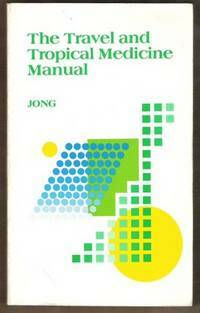 ; 8vo; "This respected manual offers the latest advice on preventing, evaluating, and managing diseases that can be acquired in tropical environments and foreign countries. A solid introduction to the subject, its handy for systematic review and for quick reference. " (350-noto) .